The American Academy of Orthopaedic Surgeons provides education, surgical training classes for orthopaedic procedures, and practice management services for orthopaedic surgeons and allied health professionals. 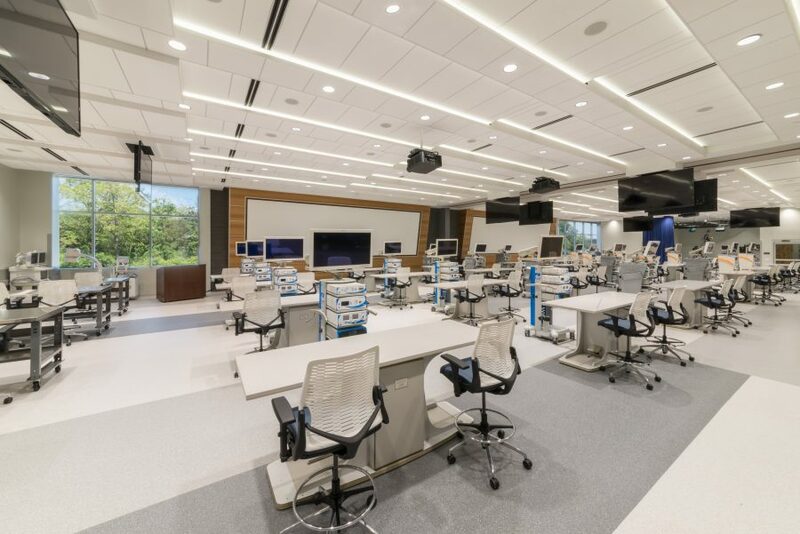 As part of their 180,000 SF headquarters renovation, Wright Heerema Architects designed a 30,000 SF state-of-the-art Orthopaedic Learning Center. 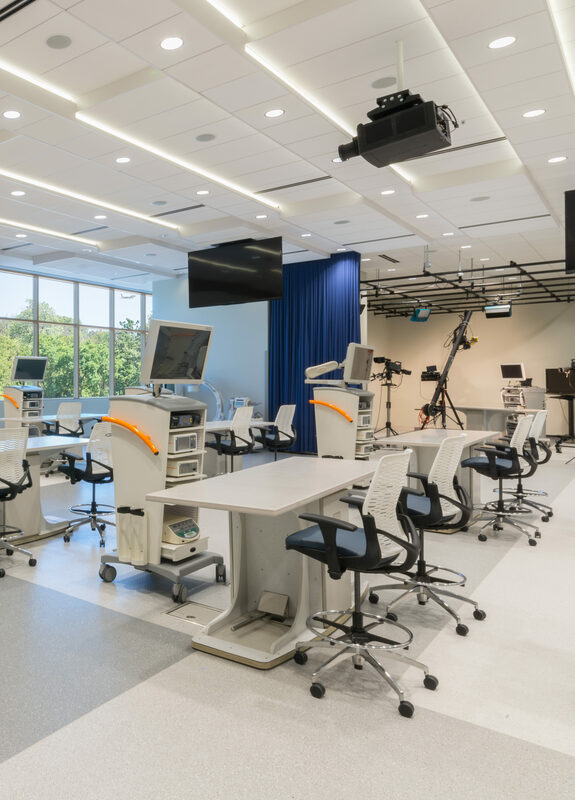 At the core of AAOS’ specialized requirements was the need for a 30,000 SF state-of-the-art Orthopaedic Learning Center . 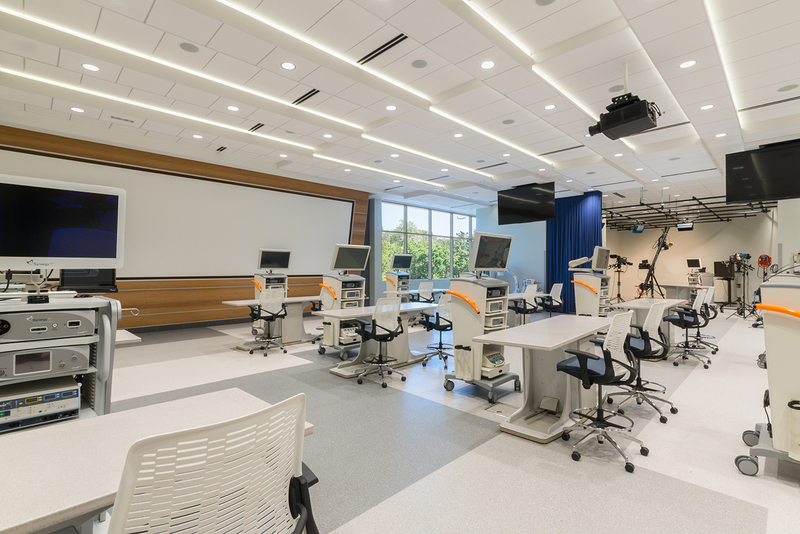 It includes 24 surgical stations for hands-on surgical training and demonstration of the latest surgical techniques and tools. 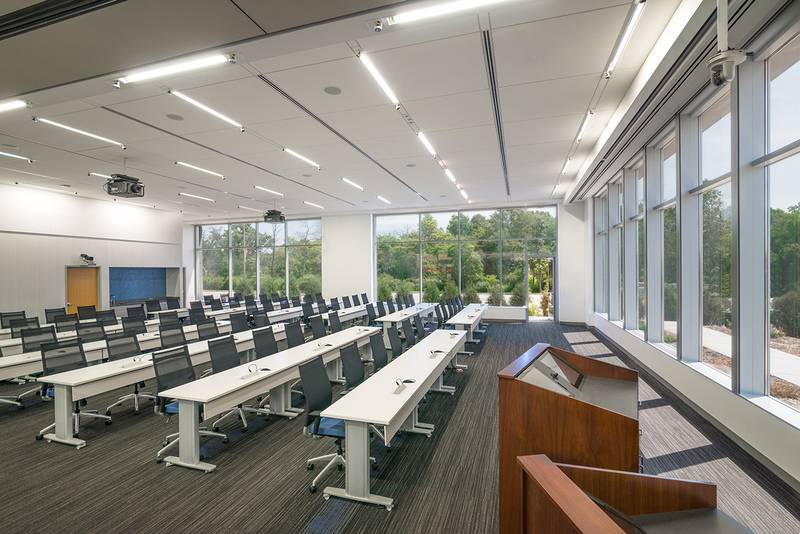 WHA also designed a 180-person auditorium for classroom work, presentations, conferences and seminars. 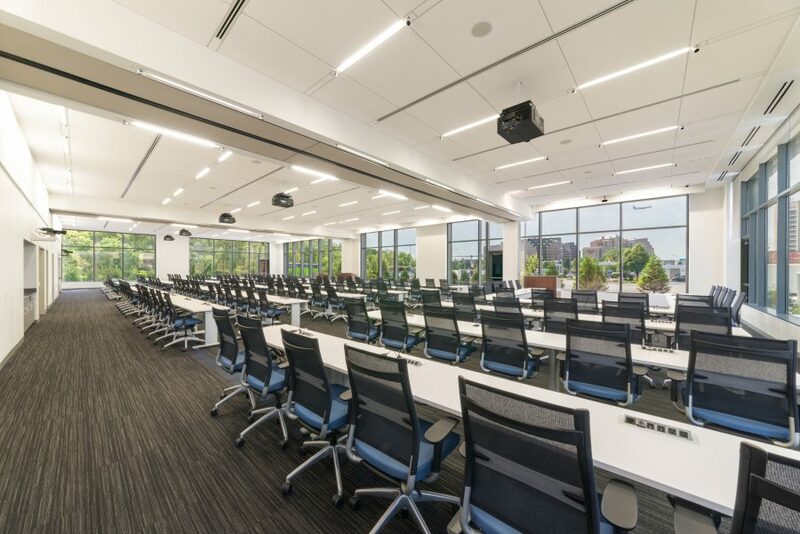 Both the auditorium and OLC feature state-of-the-art AV equipment, including large projection screens, video displays and cameras located throughout the facility to aid in presentations and seminars.